This Lacoste Mens Boxer Brief is made from 87% Nylon & 13% Elastane. Our Collection at Boxers and Briefs contains only the highest quality Lacoste Mens Underwear. 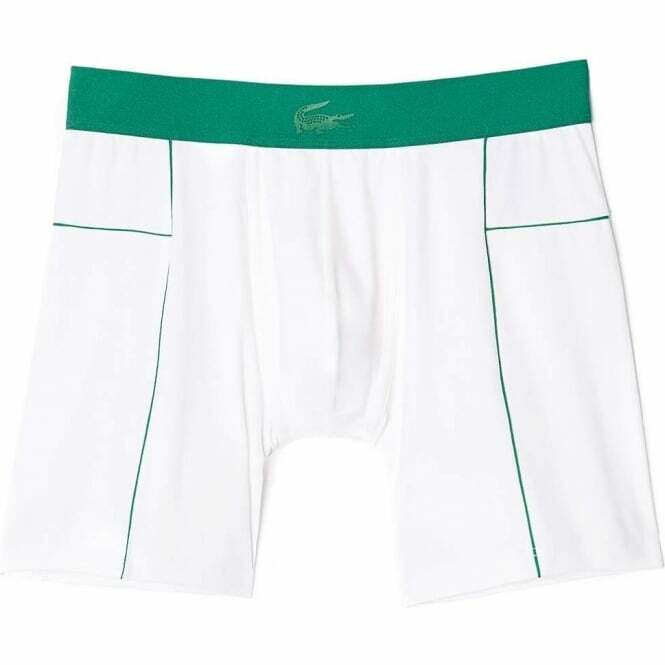 In our Lacoste Sport Motion range we have a White/Green Lacoste Motion Micro Mesh Stretch Boxer Brief which are available in multiple sizes ranging from size Small to Extra Large.